BREAKING!!! 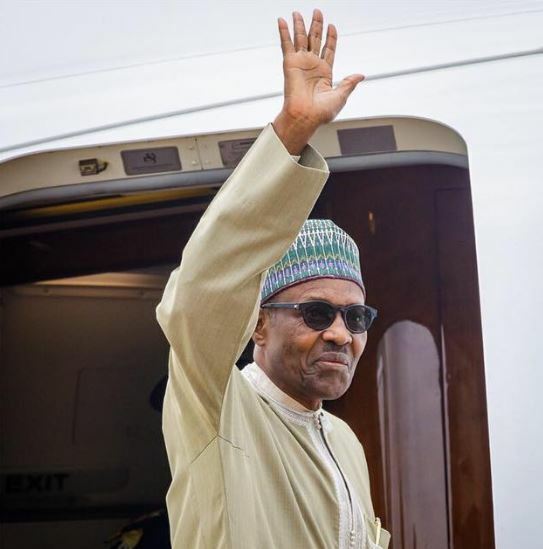 Buhari Departs Abuja For Netherlands, To Address ICC President Buhari, on Sunday, left Abuja for Netherlands to participate in activities commemorating the 20th anniversary of the adoption of the Rome Statute of the International Criminal Court (ICC) at The Hague. Femi Adesina, the President’s Special Adviser on Media and Publicity on Saturday disclosed that Buhari was the only world leader invited to deliver a keynote address during the Solemn Hearing to commemorate the anniversary at Courtroom 1 of the ICC’s Headquarters at The Hague. Adesina said the President would also highlight his administration’s campaign against corruption in Nigeria at the event. “The President and his delegation will have a separate round table with some Dutch Chief Executive Officers (CEOs) of companies based in Nigeria with a view to urging them to expand their investments, especially in agriculture, oil and gas in Nigeria,’’ Adesina added. He said Buhari would also tour the Port of Rotterdam and Shell refinery in Pernis, Hoogvliet. According to Adesina, on the margins of the President’s visit, Nigeria and the Netherlands will sign a Memorandum of Understanding on bilateral consultations.